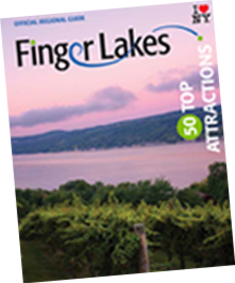 Voted the #1 mid-size city to visit in the Northeast in 2017 on the TODAY Show’s website, Syracuse, NY, the eastern gateway of the Finger Lakes Region, is the place to be. Syracuse is located in Onondaga County, the center of New York State. It is a place to pursue your passion and Do Your Thing; whether it’s stopping at the country’s only upside down stoplight (thanks to the Irish); climbing the world’s largest indoor suspended ropes course (inside of Destiny USA); visiting the country’s #1 voted apple orchard, Beak & Skiff (according to USA Today readers); getting down to a live band and finger-licking good BBQ (at the original and infamous Dinosaur Bar-B-Que); scouting for Bald Eagles at Onondaga Lake Park, experiencing the downtown urban renaissance or even uncovering the many Syracuse inventions that helped to shape the U.S., Syracuse provides the platform for a refreshing and inviting adventure. Destiny USA, New York State’s largest shopping, dining and entertainment center is found right in the heart of Syracuse, NY. With more than 250 retail options, over a dozen luxury restaurants, a comedy club, IMAX and basically an indoor amusement park with go-kart racing, WonderWorks, 5Wits, bowling and more, Destiny USA has become an international attraction. If it’s too much to take in, try a different speed in the Village of Skaneateles, the “gem of the Finger Lakes”. Browse quaint but affluent shops set in a historic downtown village that puts romance novels to shame. Then enjoy those lakeside views at the lovely Anyela’s Vineyard, with an assortment of wine and cheese. Syracuse is a home for the arts and theatre – bringing in everything from concerts and art shows to Broadway tours and independent productions put on by local groups. Downtown’s convention district houses The OnCenter, a multi-venue exhibition, convention and entertainment facility. The Oncenter Civic Center Theaters are home to three beautiful, distinct theaters that host a diverse variety of events, from stage productions to business meetings. It’s a popular venue to catch a live performance like Disney on Ice or hold a convention. Historic National Treasure, The Landmark Theatre, brings a 1928 gorgeous movie theater to life with musicals, comedians, kids shows and more. At the St. Joseph’s Health Ampitheater at Lakeview, catch a concert outdoors at a venue overlooking Onondaga Lake and the city of Syracuse. The Everson Museum of Art houses the largest collection of American ceramics. Move at your own pace through over 11,000 pieces of art – everything from American paintings and sculptures to drawings and graphics.